You can make and receive calls directly through your browser without downloading any software using the Telzio Webphone. In this article, you’ll learn about the webphone and what you can do with it. You need at least one phone number on your account to make calls with Telzio. Learn about Getting Numbers and Porting Numbers. You need to have a User in order to make calls with Telzio. Learn about Creating Users. Jump to Webphone Troubleshooting to learn more about how to enable the webphone. Here are steps on how to make a call using the webphone. 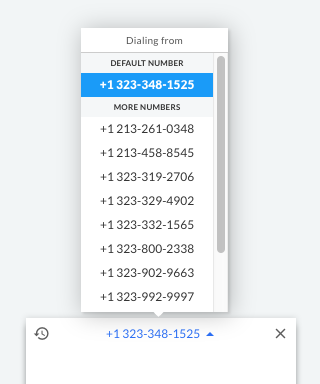 Select the phone number you want to dial out from, if different than the default number. Enter the phone number you’d like to call in the provided field, or type in the name of the User you’d like to call within your organization to search the directory. 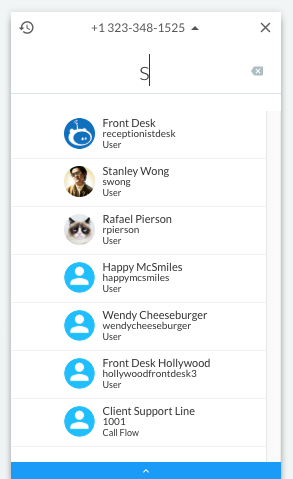 Click the down arrow to reveal more contacts in the directory. Click on the User, hit enter on your keyboard, or click the green send button to initiate dialing. Here we’ll go over how inbound calls work on the webphone. When a new inbound call comes in and there are no other active calls going, the call will appear full-screen on your Dashboard. 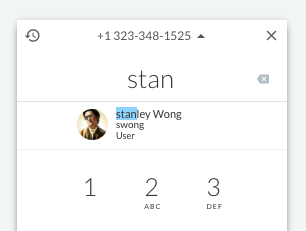 When a new inbound call comes in and you’re currently on an active call, the call notification will appear in the top right corner of the page. 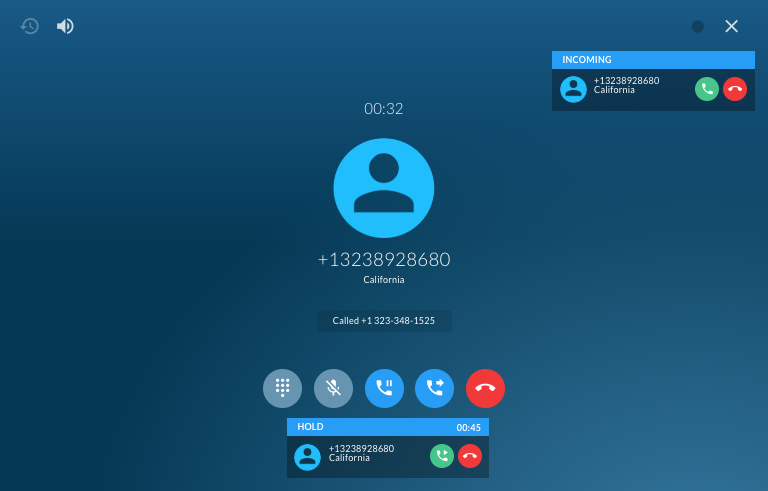 You can place the current call on hold to answer the new call, or reject the call by clicking on the red icon. Here we’ll go over more features in the webphone. You can find your recent call log history by clicking on the clock icon in the top left corner of the dialpad. Click on the dialpad icon to return to the dialpad. 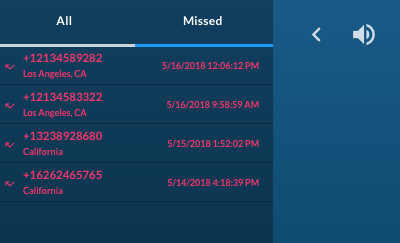 Click on All or Missed to switch between viewing all calls versus only missed calls. 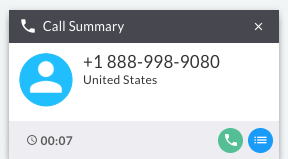 Following completion of a call, a call summary notification appears on the bottom of the page where you can find call details, redial, and access the call log. Click the green phone icon to redial. 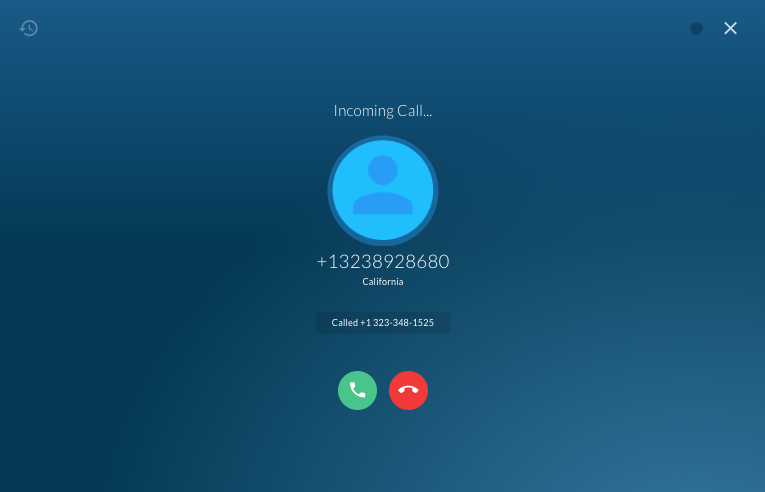 Click the blue list icon to access the call log. 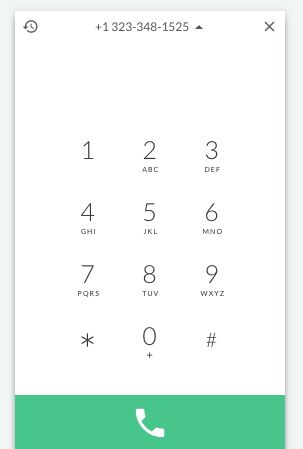 During an active call, you can access the dialpad, mute, hold, transfer, and end the call. Hover over each icon to see what it does. 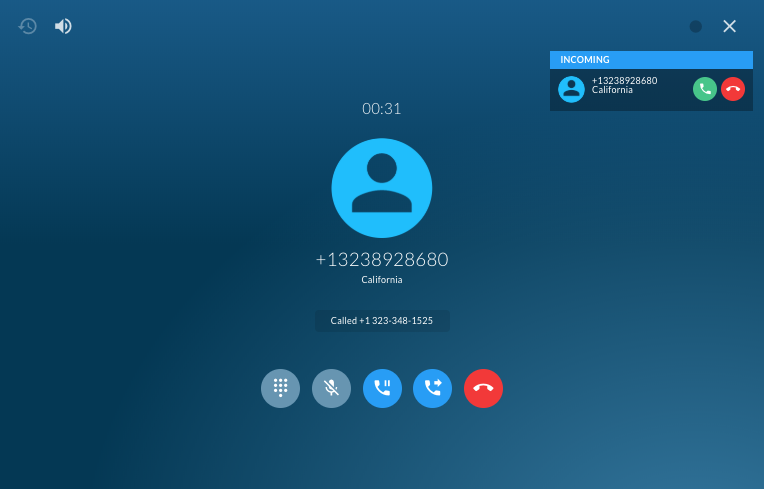 You can view call history during an active call, by clicking on the clock icon in the top left corner of the page. 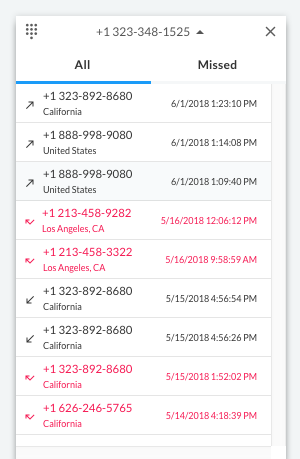 Click on All and Missed to switch between viewing all calls versus only missed calls. Click on the left arrow to hide the call history. Click on the speaker icon to adjust the volume on the call.